targetted advertising | Random Ramblings..
Bill boards have hitherto lacked the capability to provide accurate metrics which is available along with internet advertising these days. However that might soon change, if some companies are to have their way. 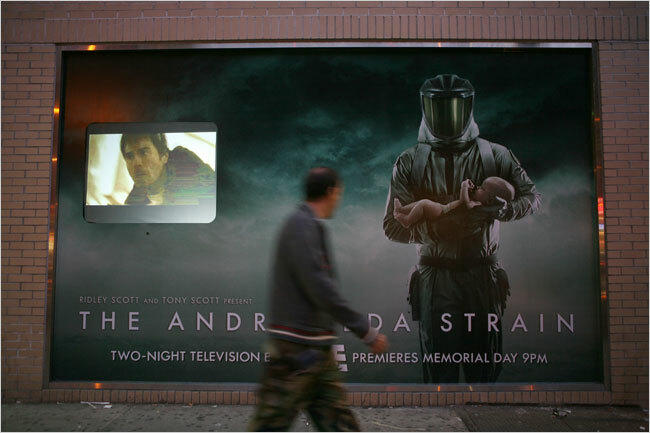 An article on NYTimes talks about two companies, TruMedia and Quividi, which are providing solutions to provide metrics for people who look at a billboard. They install billboards with cameras, and then use face recognition to provide age and gender information of the people who looked at the billboard. There is talk of providing the racial information of viewers as well, to further target ads. The goal would be “to show one advertisement to a middle-aged white woman, for example, and a different one to a teenage Asian boy“. Such solutions will provide much needed desired metrics which define the effectiveness of a billboard advertisement. The ad is equipped with a camera that gathers details on passers-by.